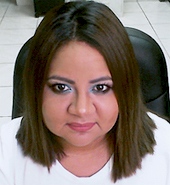 We are talking with Vanessa Linares, Operations Director at Webline Services - a leading high performance web hosting service provider. HOSTSEARCH: Hello there, thanks for being with us today. Can you please introduce yourself and your company Webline Services? VANESSA: Thank you for having me and a big hello to all HostSearch users. I have always had a fascination with technology so it came as no surprise to my parents when I majored in computer science. Fresh out of college I landed a job at the IT helpdesk of a manufacturing company. Three years later and with a new perspective on customer service I came over to Webline Services. Webline Services’s focus is to provide high, quality, reliable and low cost hosting solutions whether you are an experienced IT professional or someone just starting out in the online business world. We have highly qualified technical support and sales representatives that will assist you with all your hosting needs. HOSTSEARCH: What is your current role at Webline Services? VANESSA: I am currently the Operations Director at Webline Services. I love this role because it is very versatile. My goal is to ensure the organization is running smoothly and efficiently and that our services meet our client’s standards and satisfaction. I interact with all departments to ensure services meet our quality standards and I also obtain feedback from our clients about the services delivered and communicate the feedback to the concerned departments. Aside from managing day to day activities I also come up with new processes and strategies to increase productivity and efficiency and work with advertisers to reach a wider audience. HOSTSEARCH: As Webline Services offers variety of products and services, what are the main products and services of the company? VANESSA: Our main focus is in providing reliable, scalable and affordable hosting plans. 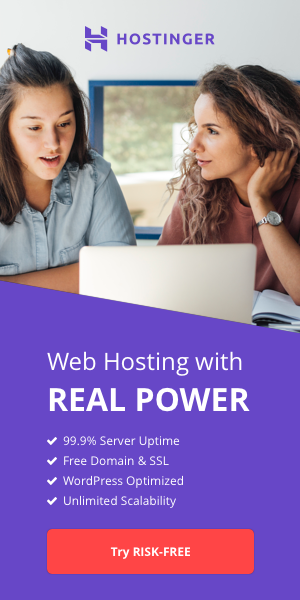 We have shared hosting plans for those that are just starting out and might not have that much experience with hosting. VPS plans for those that need a little bit more control, reseller plans for those looking to start their own hosting company, dedicated servers for experienced users and colocation for those looking to house their servers in a professional datacenter. HOSTSEARCH: Does Webline Services offers professional website design besides web hosting? Can you tell us more about it? VANESSA: At this moment we are not offering professional website designs. While we understand that this can sometimes go hand in hand with a hosting solution we want to be able to stay focused on keeping our clients online. That being said, we are open to partnering up with professional web designers who want to resell or recommend our hosting services to the clients they design for. In return we would showcase them in our newly launched partner’s page. HOSTSEARCH: As you mentioned about Webline Services’s VPS solutions – OpenVZ VPS, KVM VPS and Forex VPS, what are the main differences between them? VANESSA: The OpenVZ VPS is a virtual private server that uses Open Virtuozzo which is a container style of virtualization technology based on the Linux kernel and operating system. The platform is greatly optimized for Entry level Unix VPS servers, which we are able to offer as low as $5.00 per month. KVM is a Virtual Technology for clients that demand a true dedicated-like server with high reliability. KVM is also capable of running UNIX as well as Windows VPS. We use KVM for our Enterprise level VPS as well as our Windows VPS services. For clients who are in the business of FOREX trading, our KVM Forex VPS does the job perfectly, while providing clients 100% uptime while they trade. Offering multiple VPS platforms, Webline Services is a 1 stop shop for all clients’ needs. From our cheapest $5 VPS to custom high end VPS, we have it all. HOSTSEARCH: I noticed you mentions Webline Services provides Cpanel Control Panel features, can you tell us more about it? VANESSA: Webline Services is one of Cpanel’s Preferred Partners. We offer cPanel based hosting for our shared clients, VPS and dedicated. Depending on your needs we can enable, disable, and or modify cPanel features to fit the client’s needs. Using very simple point and click software our clients will be able to administer every aspect of their website. They can create personalized email accounts, forwarders, and auto-responders, configure password protected directories, set up domains, addon domains, parked domains and redirects. They are able to Edit and Backup their filed, store data using MySQL databases, and pick from a wide selection of popular third party software for blogs, boards, ecommerce and more. cPanel makes it easier to build a complete website and we will make sure to keep the control panel up to date and to help a client out if they need some more assistance. 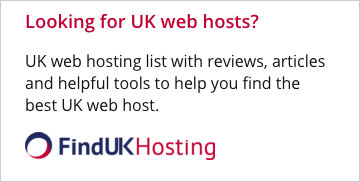 HOSTSEARCH: As you offered “Migration Services”, what can Webline Services do for the customers who wish to switch from their web host to your company? VANESSA: Our team can help migrate your servers, databases, applications and email among dedicated and virtual environments. If you are switching over to our company we will give you a one-time complimentary migration if you have a supported control panel, for example cPanel to cPanel or Plesk to Plesk. These types of migrations are simple with zero or very little downtime. HOSTSEARCH: What promotion do you currently have available for HostSearch's users? VANESSA: HostSearch’s users are some of our best clients, which is why we are extending a 20% recurring discount all through April for anybody that signs up from HostSearch. At checkout just use coupon code hostsearch20 to receive your special discount. HOSTSEARCH: You consistently get good reviews on HostSearch.com. What’s special about your service that keeps your customers coming back? VANESSA: Webline Services is very customer oriented. The hosting business is a very competitive one and most companies have similar services, which is why at Webline Services it is not about the services the client needs it’s about the client. Our sales and support representatives go above and beyond our clients and potential clients. Everyone gets the same VIP treatment, whether you are a one person business just starting out with shared hosting or an enterprise corporation looking for colocation. I believe that is what sets us apart and ultimately what drives people to spread the word about us. HOSTSEARCH: Thank you for a wonderful talk. We wish you success in the coming years. VANESSA: Thank you, it’s been a pleasure.